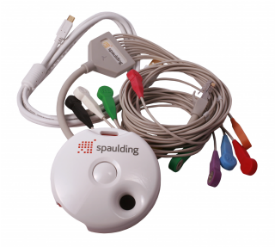 Spaulding Medical, LLC announced the FDA 510(k) Clearance for their newest 12-Lead ECG device - the Spaulding Electrocardiograph 2100iQ™. The wireless, hand-held cardiac safety medical device was designed to streamline and improve the collection of real-time data of ECG data via Bluetooth™ for doctors and patients. Managed entirely in the Cloud, the Spaulding Electorcardiograph 2100iQ™ mission is to deliver high-quality data in less time and at a reduced cost. With the FDA 510(k) Clearance ready, Spaulding Clinical Research, LLC has strengthened their commitment to being an innovation leader in cardiac safety solutions.